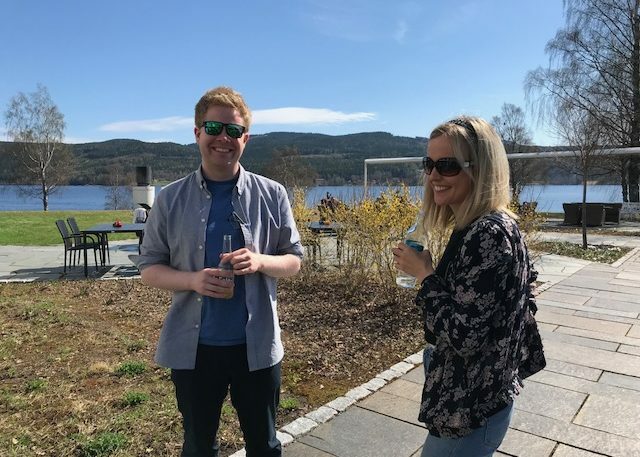 20 NORSI students from all over Norway met in May 2018 at Hurdalsjøen hotel for a three-day writing retreat. 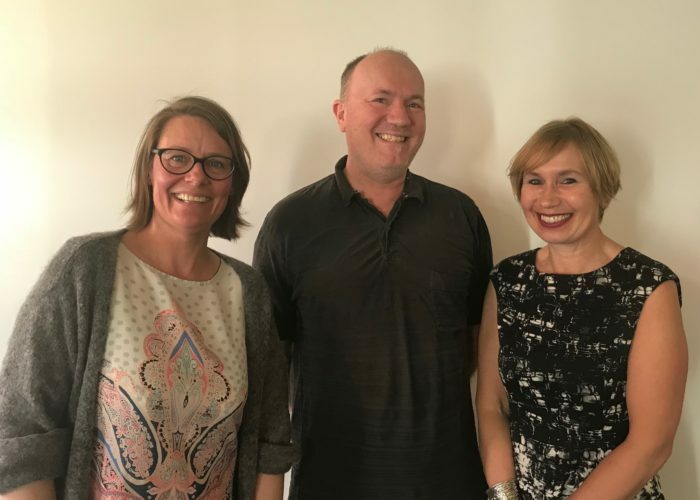 Presentations and inspiration were given by our great Norsi faculty Taran Thune,UiO-TIK; Magnus Gulbrandsen, UiO-TIK; and Lene Foss, UiT-Arctic whom took time out of their busy schedule to organize, teaches and be present at the writing seminar. To take a look at the program for inspiration and info click here. 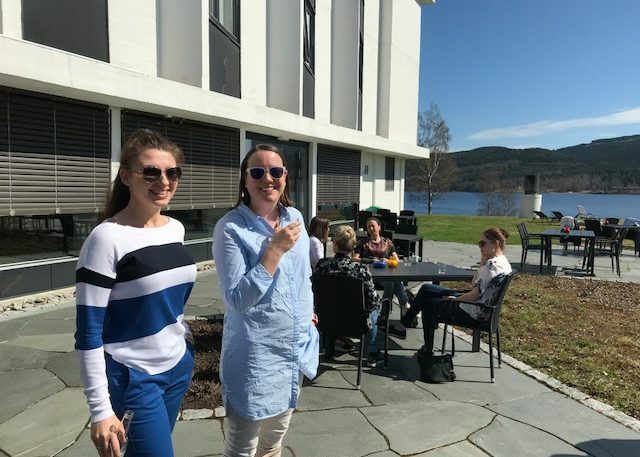 Hurdalsjøen May 2018 - Maryna Vakulenko, Nord and Emma Lind, UiA enjoying the sun! Silje Haus-Reve og John-Erik Rørheim, both UiS waiting for the writing semianr to begin. 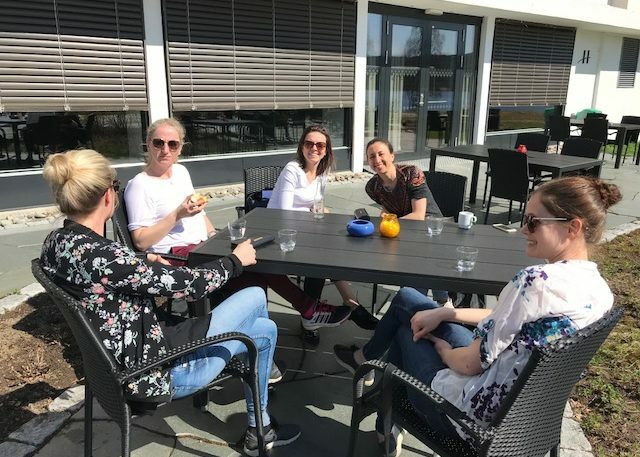 Norsi students Tine Petersen Malonæs, BI, Mette T. Solnordal, UiT, Olga Mikhailova,BI, Stefania Sardo, BI and Nina Hjertvikrem, UiS at Hurdalsjøen. 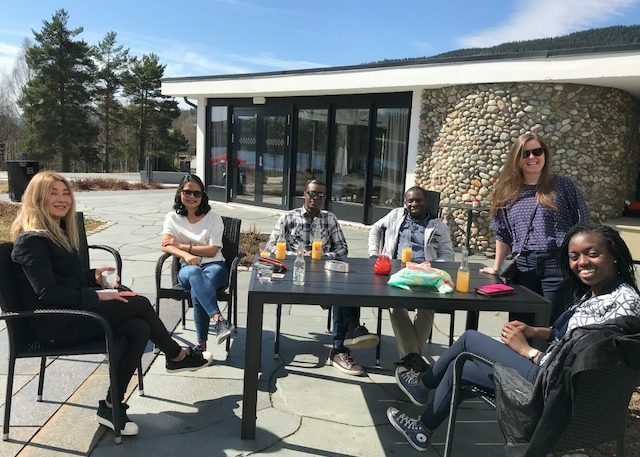 Norsi students Irina-Emily Hansen, NTNU, Nhat Strøm-Andersen, UiO-TIK, Kwadwo Atta-Owusu, UiS, Chukwuemeka Kevin Echebiri, INN, Elisabeth M.C. Svennevik, UiO-TIK and Barbara R. Lappalainen, INN outside at Hurdalsjøen. 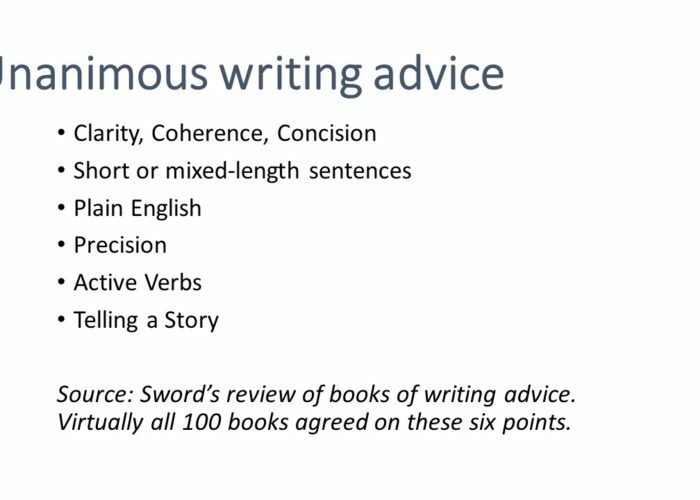 Those whom made the writing seminar - Norsi faculty Taran Thune, UiO-TIK, Magnus Gulbrandsen, UiO-TIK and Lene Foss, UiT - Arctic Uni.